Avia Cerasis kennel is located in North Mazovia, Poland. We live in the little town between forests and fields, with three great staffordshire bull terriers. Dogs are my passion for many years, from early childhood. From many areas of cynology, like veterinary or dog behaviour, I've always been most interested in breeding. My first dog was a gift from my Dad - in 1999 in my life appeared beautiful yellow mix, Pearl. We spent together almost thirteen amazing years, for me full of testing theoretical knowledge about dogs in practice. Our life was long hours of walking, playing and training; just perfect friendship. Pearl passed away in the spring 2012 from cancer of the peritoneum. All my family missed her so much. Overe these years, my house was inhabited by many different dogs - I was involved in rescuing homeless dogs, raising money for it and I was a foster home for few dogs. It was very important experience, in terms of positive and negative. It's wonderful feeling to change the life of abandoned pet and after some time, to get photos from his new owners, but it's really sad to see the difference between dogs always living in good home and dogs knowing how it feels to be hungry, alone and maltreated. My passion has decided about my education – I graduated the Faculty of Animal Sciences in Warsaw University of Life Sciences, with major in breeding of small animals and pets. During of my studies, my work experience was held in Penn-Staff - staffordshire bull terrier kennel owned by Ewa Matczak. I remember that as an opportunity to acquire very of valuable knowledge about SBT and dogs breeding - not avaliable in books or in the internet. My first staffie arrived in autumn 2009 and still lives with me - it's blue BAILEYS Sama Slodycz and is the quintessence of staffie character and temperament. Baileys made me fell in love in this breed - their endless energy, sensibility, great love, activity, mischievous behavior and specific sense of humor I never saw in other types of dogs. I heard that people falling in love with staffies at first sight or are irritated their behavior - I belong to the first of these groups. After lot of preparation, visits in few kennels and dog shows, after talking to many breeders, I decided to get my second staffie - a female with show and breeding plans. In July 2012 Christophe Cordel (Hot King Staff kennel) offered me 6 months old female for breeding contract. After a moment's hesitation, Hot King Staff HONEY WILD (Honey, Halina) came to my home. My first steps in dog show was with her, in III Alec Waters Memorial - polish Bull Type Terrier Club Show in September 2012, Zakroczym. Honey's preparation to showing was better than mine - she teached me how to show a dog and we both still learning and strive for perfection. In spring 2014, after completing the terms of the breeding contract, I became Honey's owner. First breeding female in my kennel received a titles: Champion of Poland and Club Winner (2014, female) of Bull Type Terrier Club in Poland. Honey is DNA tested for L2HGA and HC with results "clear"; she's free from allergy problems, hips and elbows displasion too. She's healthy female with true terrier temperament, loving all the people in the world, especially children. In Spring 2017 I expect her first litter with my affix - Avia Cerasis. My life with dogs is not only a show and breeding, of course. My dogs are indefatigable companions of my jogging in the forests, "warm makers" in my bed and my best friends in every single day. They just waiting for playing, walks or hugging. Living with them is never boring. I think every dog - champion or mixbreed - at first place should be our friend, so I decided to made dog's health and agility a priority in my breeding plans. 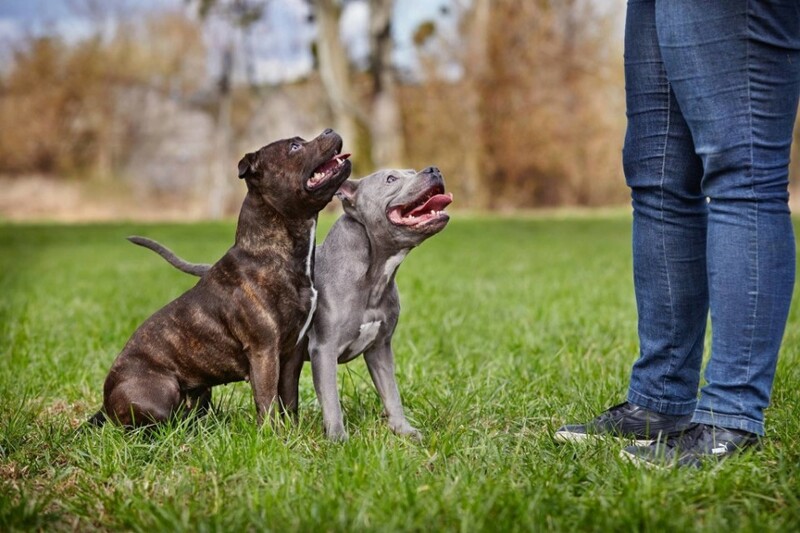 Character and exterior are important in selection too (big faults in construction can result with joints problems, timid behavior is very uncomfortable for dog and his owner) – but in my opinion health is the most often neglect in purebred dogs breeding. It's not only about a few health tests for a few disease, but general state of health of animals using in breeding - especially things that can be uncomfortable for dog and be inherited on the offspring, like genetic predisposition to allergy. It can not be covered by any show titles. Mother Nature is not predictable in 100% and we can never be sure for health of our puppies, but I will try to bred agile healthy dogs, good for sports - also nice, according with a breed standard, with typical character and temperament. It's very important to me, to find for my pups a good loving home - they should be family member; not a toy for a child or the next dog in puppy mill. I care about contact with new owners of dogs from my kennel and I want to offer advice and help in every problem with a dog. My relationship with new owners is not ending with taking puppy – you're always welcome to send photos, asking questions or just talking about your staffie.